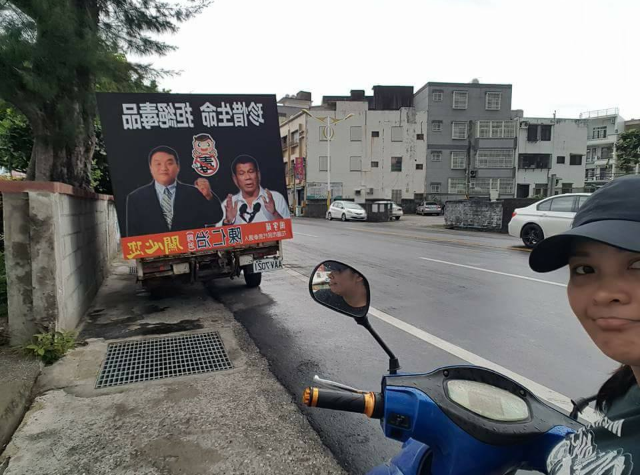 On June 19, 2018, Nieviv Sucuaje, a Filipina and a Facebook user who is in Taiwan, spotted a photo of President Rodrigo Duterte, edited beside a political candidate as part of the latter's campaign. 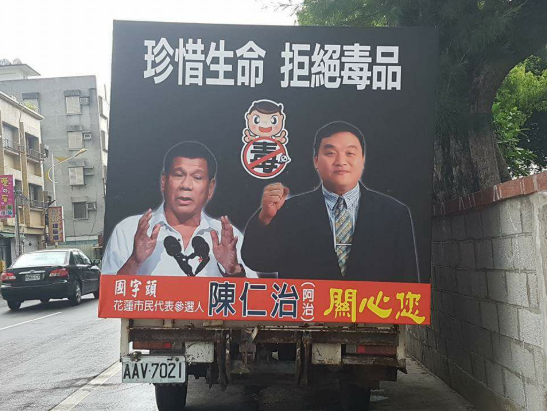 It appears that President Rodrigo Duterte is being utilized by a Taiwanese politician to feature his anti-medicate platform. 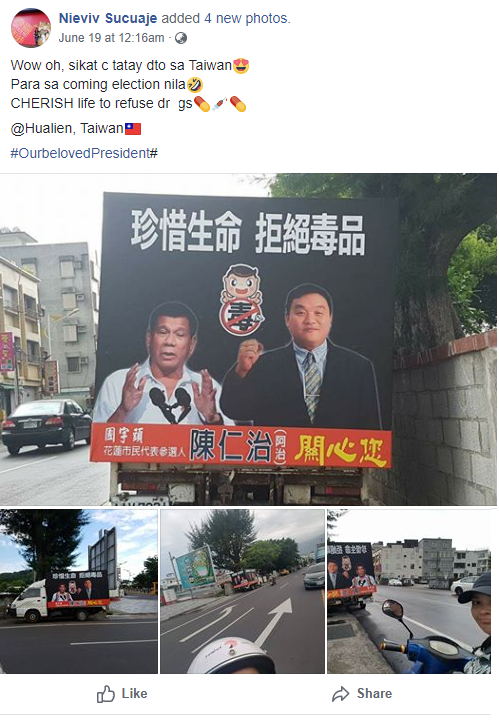 Sucuaje posted and shared her photos on Facebook which she personally captured, and captioned it with: "Wow oh, sikat c tatay dto sa Taiwan. Para sa coming election nila. CHERISH life to refuse dr_gs." 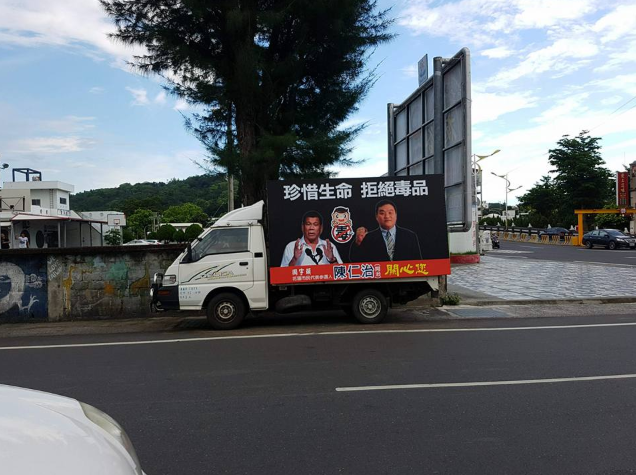 It has been said that Taiwan and the Philippines acknowledge each other as partners in the battle against big-time medicate trafficking, with Taiwan representative, Dr. Gary Song-Huann Lin who is denying that his nation at any point sent out unlawful medications to the Philippines. 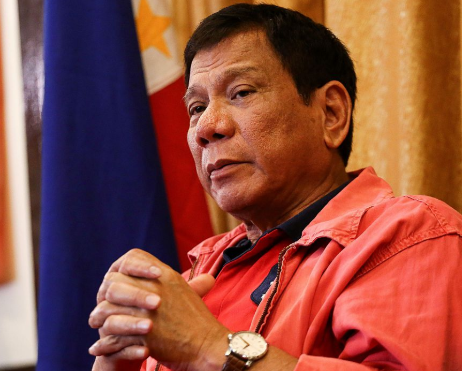 That comment of Dr. Gary Song-Huann Lin came a day before President Duterte claimed that the Bamboo Triad, the alleged Taiwan-based medication triad, had been providing illicit medications in the Philippines, had joins with insurgent group. 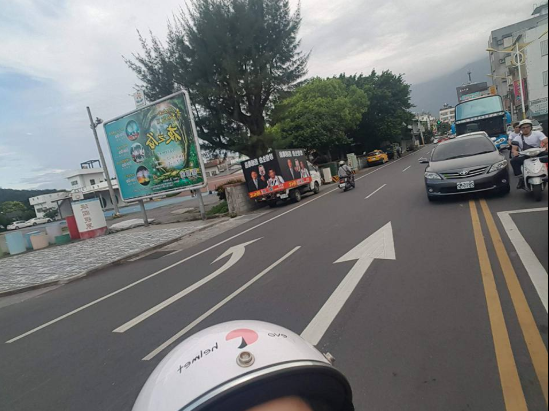 Meanwhile, it has also been reported that Taiwanese authorities turned over Ozamiz City Councilor Ricardo "Ardot" Parojinog, a presumed sedate ruler, to Philippine authorities after his capture because of illegal passage to the country.